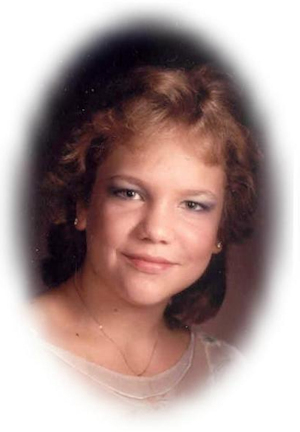 Obituary – Moss, Angelia Kristine (Beale) « Perry High School Alumni Association, Inc.
Angelia K. Moss, 35, of Perry, Oklahoma beloved wife and mother. She was born in Blackwell, Oklahoma on June 3, 1968 and died September 30, 2003 at the OU Medical Center in Oklahoma City. Funeral services will be at 2:00 p.m. Saturday, October 4, 2003 at the Church of Christ in Perry. Gerald Stewart will officiate. Interment will be in Grace Hill Cemetery under direction of Brown-Dugger Funeral Home. Memorials may be made to the American Diabetes Association in care of Brown-Dugger Funeral Home. Angelia was a 1986 graduate of Perry High School. On January 24, 1987, she and Scott Moss were married in Lebanon, Oklahoma. She was a member of the Church of Christ and enjoyed arts and crafts. In addition to her husband, Scott, survivors are three sons, Christopher Moss, Brandon Moss and Zachary Moss, all of Perry, Oklahoma; her mother, Peggy Beale, of Wainwright, Oklahoma; one brother, Bradley Beale of Muskogee, Oklahoma; one sister, Shannon Howard of Wainwright, Oklahoma; her maternal grandmother, Lela Buffington of Perry, Oklahoma; and numerous other relatives.